Low cost airline AirAsia Bhd will be offering direct flights from Kuching to Kota Baru effective March this year, its commercial chief Kenny Wong said yesterday. He said the thrice weekly direct flights was in tandem with the ‘Visit Malaysia year 2014′ programme that was currently being held to bring in international tourists to these two destinations. To promote the sector further AirAsia, he said, is also offering free seats that could be reserved through the website www.airasia.com. from today until Feb 2. On a related noted the airline is also looking to establish direct flights between Kuching and Manila in the near future. This follows its Miri-Manila route which was launched in December last year and has seen a good response. Air Asia Berhad’s chief of staff Johanatan Yabut said the airline was now looking to increase connectivity between Kuching and Manila. 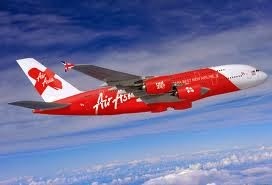 He said the Philippines was the youngest member of the AirAsia family, having launched itself in 2012. “We’re trying to focus our marketing strategy to building this network connectivity especially with East Malaysia. Miri is not only a gateway to Sarawak but also Brunei. “With us being a low cost airline and affordable to everyone, it makes sense to build a capital to capital city route, he added. Currently the airlines offers flights from Kota Kinabalu, in Sabah, to Manila and Cebu in the Philippines.